Explain what we mean by Ohana. Name Salesforce’s four core values. Explore the behaviors and experiences that bring our culture to life. In the previous unit we explored why culture matters, the role of values in culture, and how Salesforce views culture and values. In this unit, let’s go deeper to understand how culture comes to life! Building this culture of trust is our greatest competitive advantage and differentiator. That’s our culture story in its simplest terms. At Salesforce, we are an Ohana of Trailblazers – inclusive of our customers, employees, partners, and communities. Ohana means “family” in Hawaiian, and for us, it’s not just our blood-related family, it’s all the people we choose to be our family – it’s all of our stakeholders. We take care of each other, have fun together, and work collaboratively to make the world a better place. What’s a Trailblazer? Learn more here. In our Salesforce culture of trust, we inspire each other and the industry through our values – trust, customer success, innovation, and equality. These are the values that we expect everyone in our Ohana to uphold. Nothing is more important than the trusted relationship we have with our customers, employees, and everyone in our Ohana. We earn the trust of our stakeholders through transparency, security, compliance, privacy, and performance. We are trusted advisors, and we deliver the most trusted infrastructure in the industry. Here are some ways we keep trust top of mind all the time at Salesforce. We update trust.salesforce.com with real-time information on our system performance and security. We have a Trust Academy to help our customers learn ways to keep their applications secure. We have all employees complete Annual Security Awareness Training. We help our customers achieve extraordinary things so that we can continue growing together, because their success is our success. We strategically expand our business offerings, grow our employee base, increase our impact, and create enormous stakeholder value for our customers, employees, partners, and communities. Inside Salesforce, we motivate and align our people with ongoing opportunities for success, development, and growth. Here are some ways that our commitment to customer success comes through at Salesforce as of 2018. We now have 30,000 global employees across 25 countries serving more than 150,000 customers of all sizes from all industries. We’re ranked as number 326 of Fortune 500 Companies. We surpassed $10 billion in revenue faster than any other enterprise software company in history. Hear how Salesforce is driving growth for our customers, and discover the global impact of the Salesforce Economy. Thinking differently is in our DNA. We deliver 3 innovative releases each year, and by having the latest technology, our customers are able to innovate like never before. We challenge the status quo, work outside of our comfort zones, and fearlessly pursue initiatives that have the potential to influence the way the world does business. Here are some ways we are taking innovation to heart. We take customer input to continuously innovate our products so they serve our customers’ needs better and better. We bring in new people and products through acquisitions to fuel technology and product innovation. We create workplace communities and leadership teams that reflect our diverse communities and customers, so we can better understand our customers’ needs, build higher performing creative teams, produce more innovative products, and deliver better customer experiences. Salesforce was honored to be named #1 on the Fortune Future 50 list. Discover how our CEO Marc Benioff drives relentless forward thinking. Equality starts with us. At Salesforce, we value and respect people of all backgrounds. We believe a diverse and inclusive workplace fosters innovation and creativity, and are committed to building a culture where everyone feels included. While we've made progress on some fronts, we know that there is still real work ahead — but together, we can drive meaningful change and create a more equal workplace and world for all. Salesforce welcomes all. See how diversity comes to life at our company in this short video. Here are some ways we champion equality. The path to equality for all starts with transparency, education, inclusive dialogue, quick action, community building, and an unbreakable commitment to making the world a better place. Want to learn more? Check out the Cultivate Equality at Work trail! These four core values are the driving force behind everything we do at Salesforce. They serve as our North Star, guiding us to always stay true to ourselves and what we stand for, and to act accordingly. The way we behave — with integrity, transparency, alignment, and accountability — builds trusted relationships. It's how we demonstrate we are one Ohana every day. Integrity is behavior #1. We lead and act in accordance with our Salesforce Code of Conduct at all times. We communicate openly and honestly. Everyone in our Ohana is empowered to voice ideas and opinions in order to drive change. Transparency comes alive inside our company on Chatter and externally in our Trailblazer community where everyone can participate in the conversation. We livestream our executive management meetings and give every employee a voice in our company V2MOM. Our V2MOM process keeps us aligned and accountable for delivering on our commitments to our customers, our partners, our communities, our shareholders, and ourselves. Learn How to Create Alignment Within Your Company. We report out on and analyze everything we do through our Accountability Product Matrix and regular Quarterly Business Reviews at all levels of the company, and we use those learnings to improve and grow. Our culture also comes shining through in the experiences we deliver – in our products, events, and workspaces, and in the ways that we give back through our 1-1-1 model. The experiences we deliver all feel like us. The ultimate experience of our culture is through our products. Our Intelligent Customer Success Platform is helping our customers connect to their customers in new ways and empowering companies and industries to blaze new trails. Check out our products. Every year Salesforce hosts tons of events, or as we like to refer to them, “family reunions,” the biggest of which is Dreamforce. 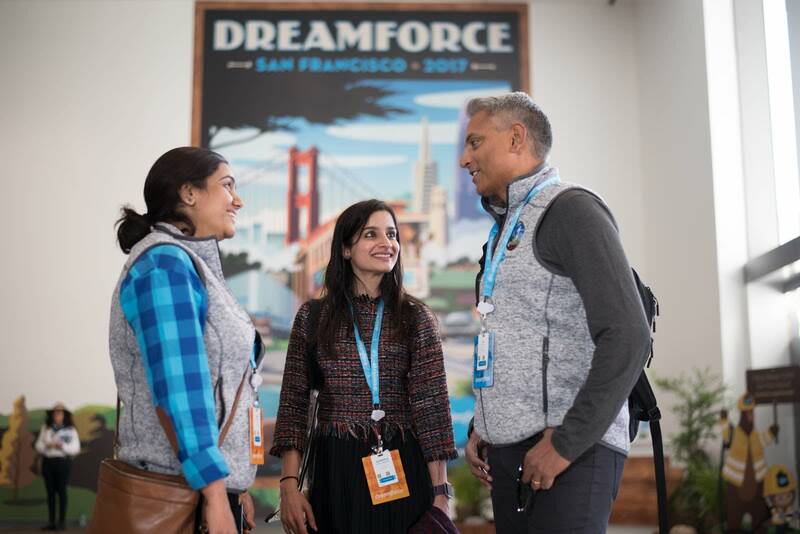 Our events give our whole Ohana of Trailblazers – customers, employees, partners, and communities – the opportunity to come together to connect, learn, and be inspired. Check out our events. Can a space change how you feel? 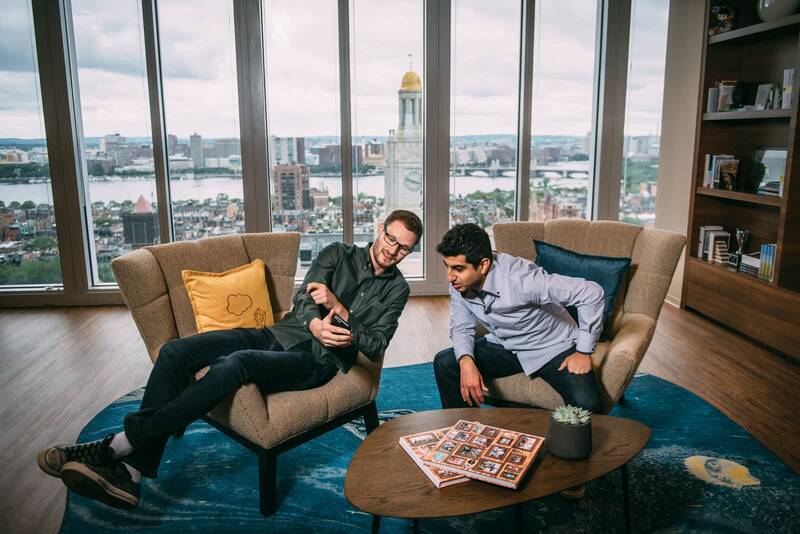 More Salesforce employees than ever are making themselves at home in our world-class offices. Salesforce currently occupies 111 buildings in 85 cities across 25 countries, including brand-new towers in San Francisco and Indianapolis. We create and curate inspirational work environments that are welcoming, trusted, and uniquely designed for the happiness and success of our Ohana. Go Behind the Scenes of our Ohana Workplace Design. Giving back is at the heart of Salesforce. Through Salesforce.org, we empower nonprofit and educational organizations with technology, community engagement, and strategic grants. From the beginning, giving back was the best decision we ever made—it created a culture that attracts and retains the best and the brightest, and lets our employees be changemakers in their own communities. Here are some of the ways we empower Salesforce employees to give back. We provide 7 full days of paid volunteer time off (VTO) a year (56 hours!). We grant up to $5,000 in matching donations per year ($2,500 given at the start of the fiscal year, and an additional $2,500 unlocked after completing and logging 7 days of volunteer time). We offer the opportunity to receive a Top 100 grant. The top 100 Salesforce and Salesforce.org employees who have completed and logged the greatest number of volunteer hours within a fiscal year are rewarded with a $10,000 grant to the nonprofit organization of their choice. Learn more about our volunteering programs and grants programs at Salesforce. In this unit, we learned that Salesforce builds a culture of trust by being highly intentional about our Ohana, our values, our behaviors, and the experiences we deliver. We are an Ohana of Trailblazers, inspiring each other and the industry through our values. Our behaviors build trusted relationships, and the experiences we deliver all feel like us. Building this culture of trust is our greatest competitive advantage and differentiator. We share more about how you can bring your culture and values to life in the next unit. Looking to grow your business? Look to these Trailblazers.